While staying at Vacheresse, just south of Lake Geneva, we visited Yvoire, a medieval village on the south side of the lake. 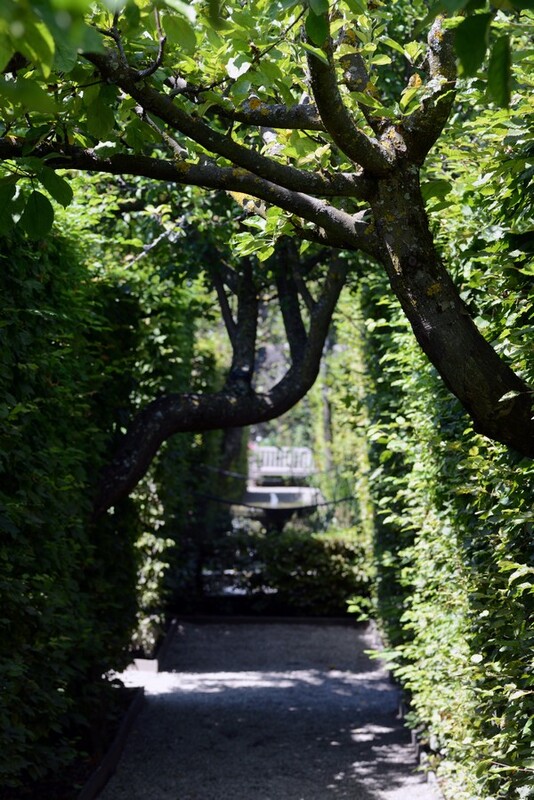 While the village is best summarised as ‘tourist trap’, our visit to the ‘garden of the five senses’ next to the romantic Chateau d’Yvoire was interesting. In 1986 Yves d’Yvoire [yes, what’s in a name?] 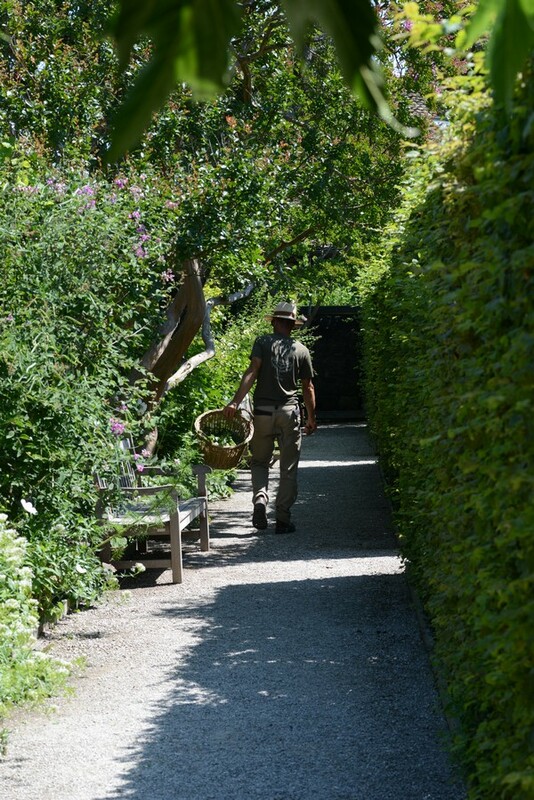 transformed his kitchen garden into a labyrinth devoted to the senses – touch, smell, sight, taste and sound. The labyrinthine layout was neatly done – the garden isn’t big but it is interesting in every corner. 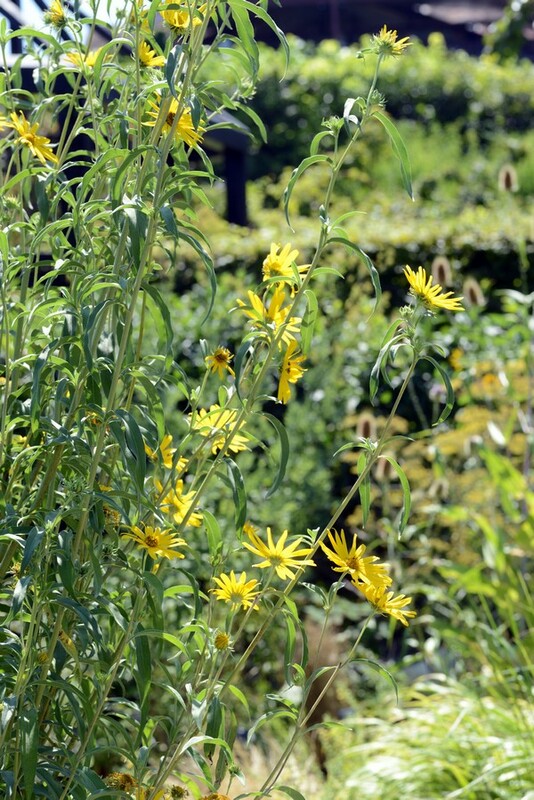 I liked the ‘touch’ garden (below) with its many oversized plants and grasses best, having to find my way through tall grassses and prairie plants. The one gardener I met was dead-heading plants in leasurly fashion (see pic below). He wasn’t much more animated than the people selling tickets and manning the garden shop, who didn’t exactly propel an aura of enthousiasm either. For a garden devoted to the enjoyment of all one’s senses, this is not good – in my view, it should be peopled with happy, helpful people bursting at the seams with energy.